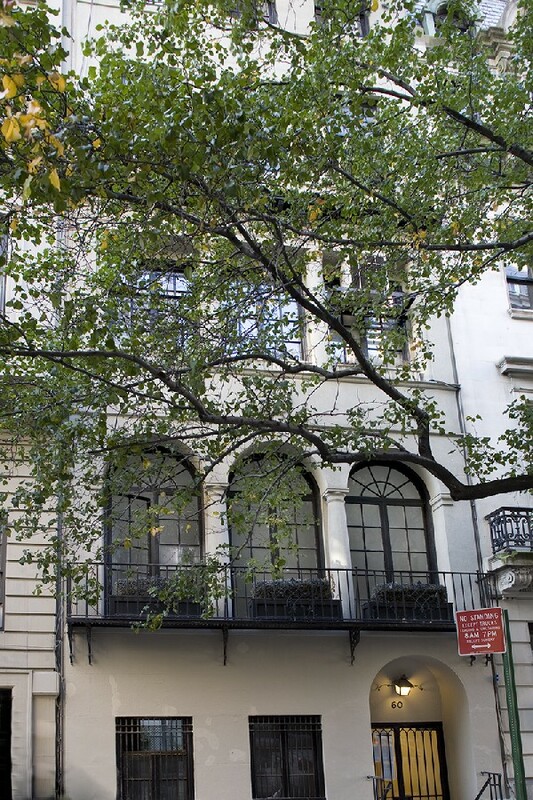 This 25' wide family residence is located on a highly desirable East 70's block steps to Central Park and Madison Avenue's upscale shopping and gourmet restaurants. Originally built in 1893, the house was acquired in 1915 by R. Horace Gallatin of the New York Historical Society who altered the facade to its current elegant brick and limestone classic configuration. The current owner lovingly restored and thoroughly renovated this mansion over a period of three years. The result is truly spectacular. There's a total of approximately 12,000 square feet of beautifully renovated interior space in addition to numerous and gorgeous outdoor spaces set up on different levels including a charming garden. No detail was overlooked during the renovation. This home boasts a family room, a fabulous living room, a baronial formal dining room, a paneled library with exceptional porportions, 6 bedrooms, 8 baths, 3 powder rooms, 3 staff rooms, a temperature controlled wine cellar, a superb eat in kitchen overlooking gardens with pofessional top of the line equipment, superior security, heating and A/C systems. Most rooms have a woodburning fireplace and beautiful mantles. 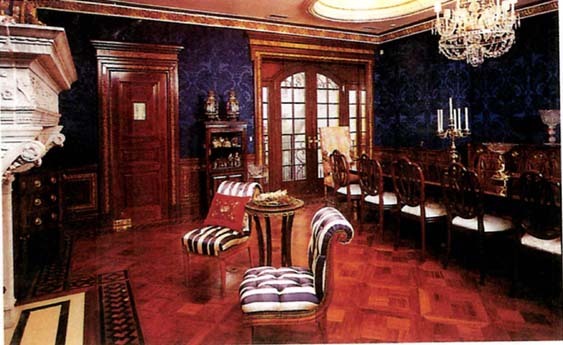 This distinguished offering is perfectly set up to accommodate sophisticated entertaining on a grand scale. It offers a warm and comfortable family environment, as well as commodious staff quarters. 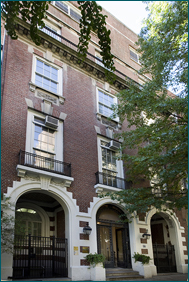 Commission by Dr. Frederic Grosvenor Goodridge and his wife Ethel M. Goodridge, 122 East 78th Street replaced two existing brownstone rowhouses when it was built in 1911. Built by architect Foster, Gade & Graham, this Neo-Georgian six-story residence has a brick facing with limestone cornice and trim. Three large full length archways at the street level with rounded tops indicate a scale rarely seen in this location. Windows on other floors have splayed lintels. The third floor has decorative stone foliate panels beneath the windows and modillioned cornice below the fourth story windows. Spanning 36 feet on the south side of 78th Street off Park Avenue, this six story building is presently configured as several units ready to be converted to a single-family residence. On the first two floors there are professional offices and on the top three floors there are studio and one- bedroom apartments. There is also an English basement with windowed bedrooms and living spaces facing the front, side and rear of the property. The cellar below has laundry, porter's room, mechanical room and additional storage space. The building is in excess of 15,000 square feet including the English basement. 66th Street between Madison and Park is anchored by a neo-French Renaissance style cooperative building with terra-cotta trim designed in 1906 by Harde & Short which was designated a New York City Landmark in 1977. Its multi-layered design is famous in New York for the exquisite play of light that crosses its surface at all times of the day. Townhouses on this block have had their original facades changed in the first decades of the 20th century, of which only a pair at numbers 52 and 54 designed by J.H. Valentine in 1877 retain much of their original detailing. Also created by J.H. 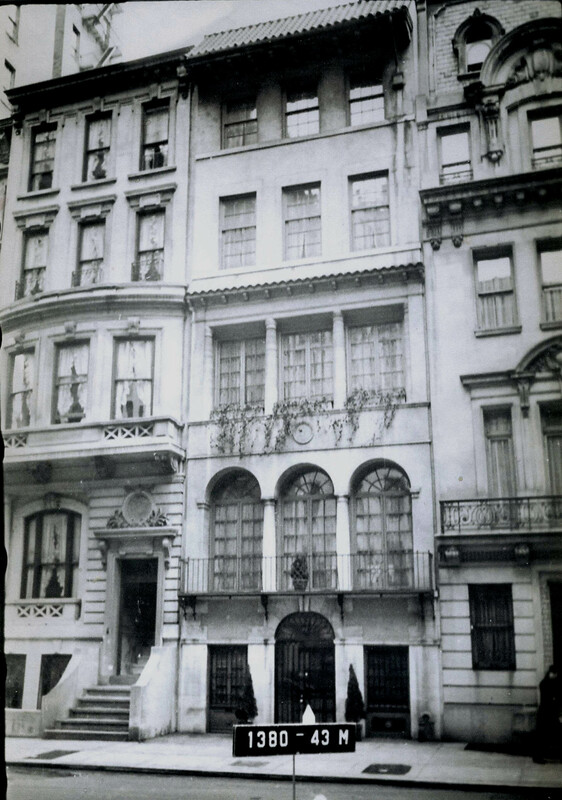 Valentine in 1877, the facade of 60 East 66th Street was redesigned in 1919 by the arhictect, Mott B. Schmidt, which accounts for its architecturally significant facade. It was commissioned by Mr. and Mrs. James Lees Laidlaw. Having led a landmark 10,000 people march to Washington in 1924, Mrs. Laidlaw was a prominent suffragette and was also on the board of directors of the League of Nations Non-Partisan Association. Mott B. Schmidt's creation was in the neo-Classical style, a six-story building with projecting Spanish tile roof. There was a round arched entrance and three arched windows at the second story as well as an iron balcony. 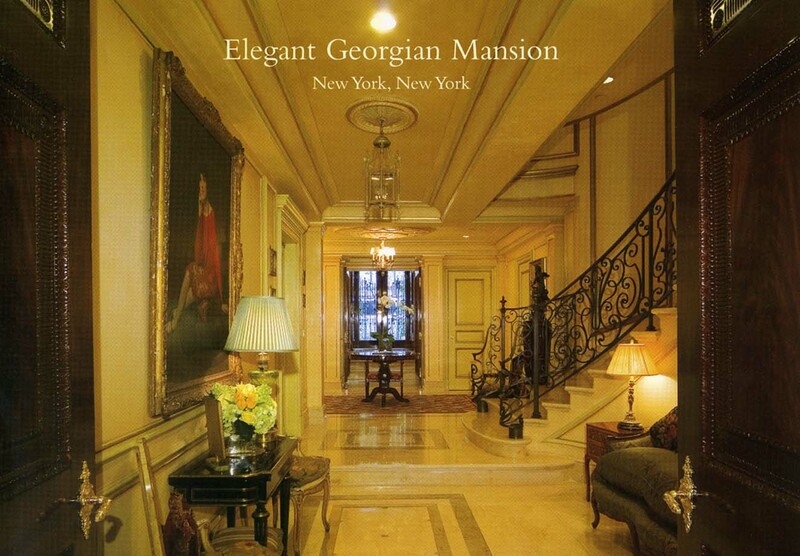 There are columns between the third story window and a cornice above. All but the ground floor of the original facade remain intact today, and could easily be restored to the delight of Landmarks. The six-story building will be delivered vacant. One can see the excellent light and high ceilings of the interior, which reach 15 feet on the parlour floor. There is a lovely garden which can be developed as well as an elevator, multiple terraces, and a rooftop which can be sculpted into a bright outdoor space. This townhouse is the best value for the location on the market, and presents an ideal opportunity for conversion to a single-family home one block from Central Park and Fifth Avenue.